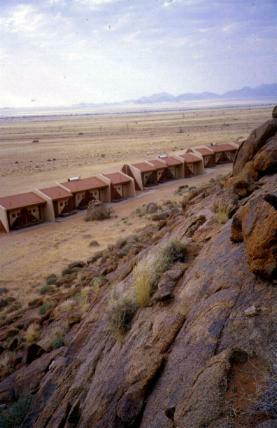 The Soft Adventure Camp is located on open plains with granite hills as a backdrop. 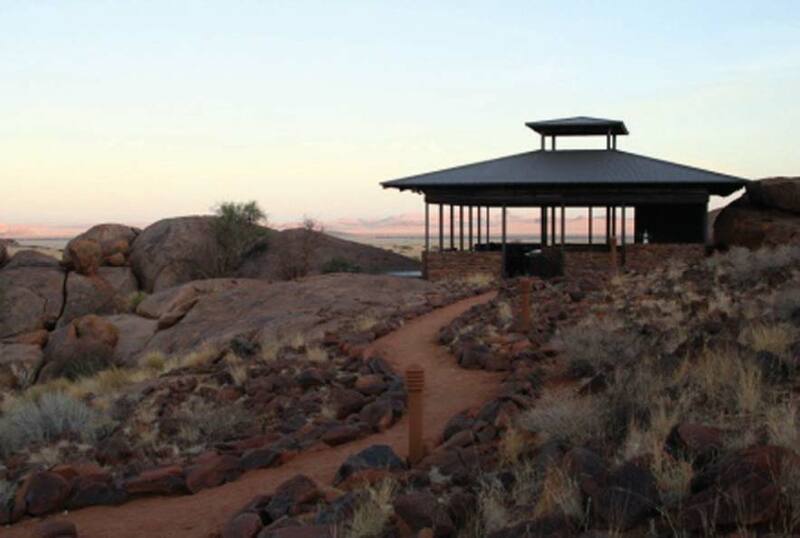 It has a beautiful view onto the open plains with a nearby borehole, where Springbuck and Oryx often come to drink. 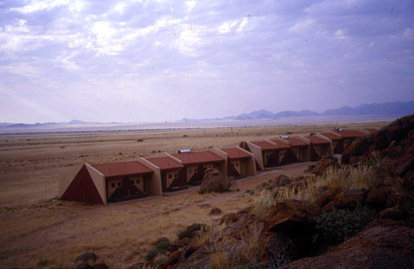 Each of the 15 units of the camp is built on a diamond shaped stance. The chalet is based on a fixed structure with canvas partitions. Each spacious room has en-suite facilities (shower and toilet). 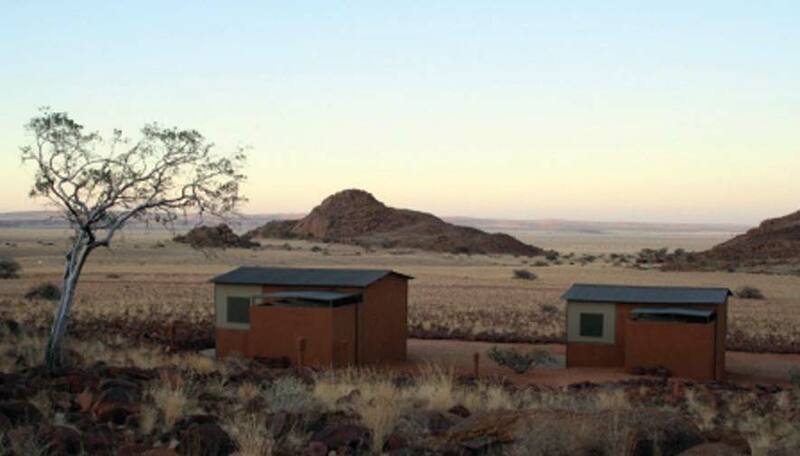 The privacy of the units ensures that guests enjoy the Namib Desert and the beautiful sunset. There are communal dining and kitchen facilities, where meals are prepared and served: Ideal for individual clients, groups and weddings. The Soft Adventure Camp has its own swimming pool. 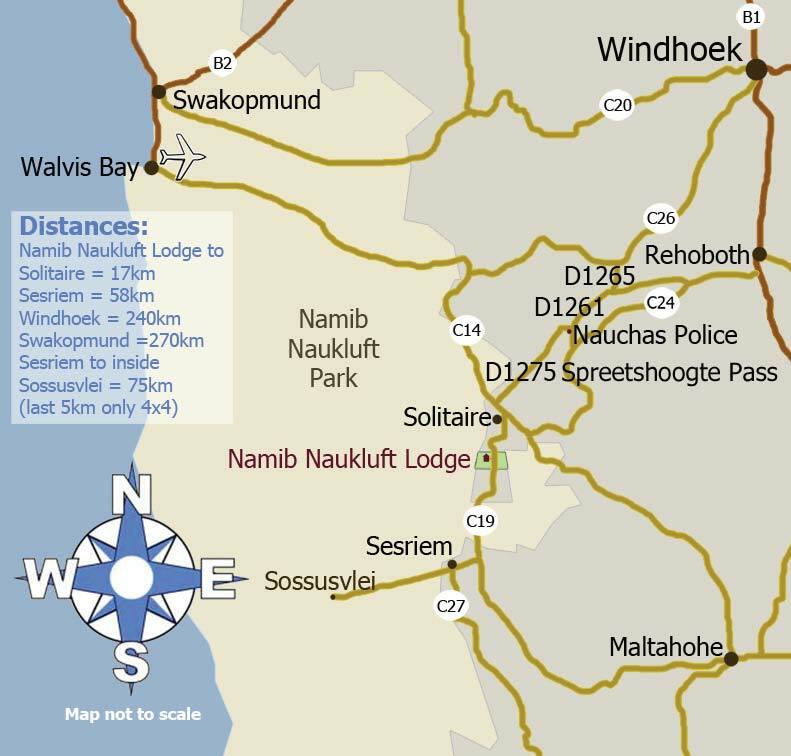 Clients from the Soft Adventure Camp are welcome to join (optional at extra cost) any of the offered activities at Namib Naukluft Lodge. This is the Sossusvlei Excursion early in the morning or the ‘sundowner’ drive in the late afternoon. A guided hike needs to be booked in advance. A very nice hiking trail is in the vicinity and leads around the mountain – via Namib Naukluft Lodge – back to the Soft Adventure Camp. Duration: approximately 1.5 hours. It is not allowed to drive in your own vehicle in the Private Nature Reserve! 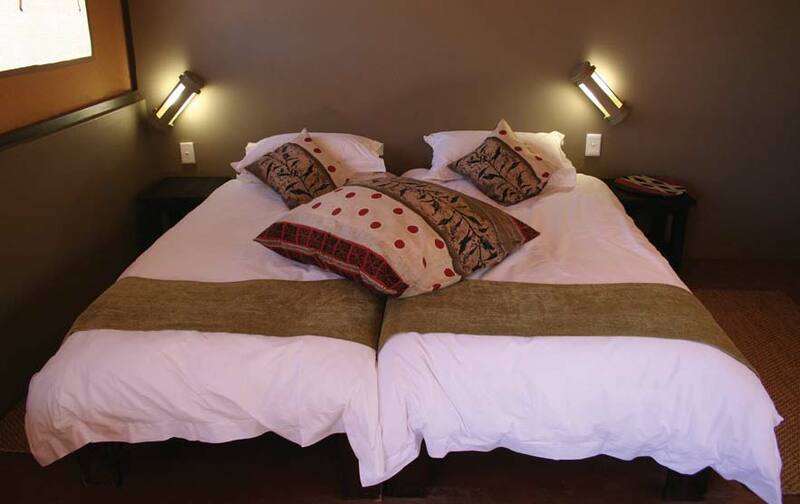 The Soft Adventure Camp offers meals at the Entertainment area, no self-catering is possible.